In the midst of the Egyptian Arab Spring, Bassem Youssef makes a decision that’s every mother’s worst nightmare… He leaves his job as a heart surgeon to become a full-time comedian. Dubbed, “The Egyptian Jon Stewart,” Bassem creates the satirical show, Al Bernameg. The weekly program quickly becomes the most viewed television program in the Middle East, with 30 million viewers per episode. The Daily Show with Jon Stewart averaged two million viewers. In a country where free speech is not settled law, Bassem’s show becomes as controversial as it popular. He and his staff must endure physical threats, protests, and legal action, all because of jokes. As Bassem attempts to remain on the air, keep his staff safe, and not get arrested, he continues to let those in power know they’re being held accountable. Despite increasing danger, the team at Al Bernameg employ comedy, not violence, to comment on hypocrisy in media, politics, and religion. 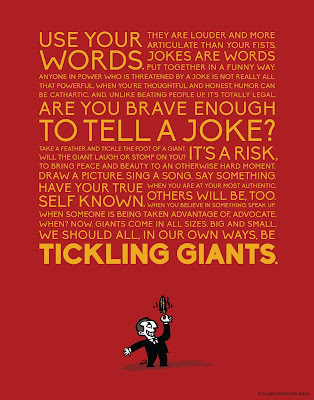 Tickling Giants follows the team of Al Bernameg as they discover democracy is not easily won. The young women and men working on Bassem’s show are fearless revolutionaries, who just happen to be really, really funny. Anyone, big or small, can have their ideas heard if they figure out their own way to express themselves non-violently. Most people have daily interaction with some abuse of power. 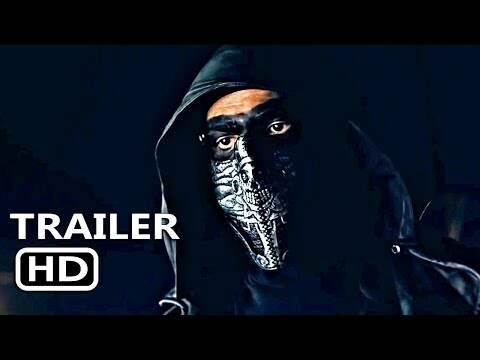 It might be a kid bullied on a playground or a boss that takes advantage. It might be a huge issue that you’re really passionate about and you just haven’t found a way to support that cause. 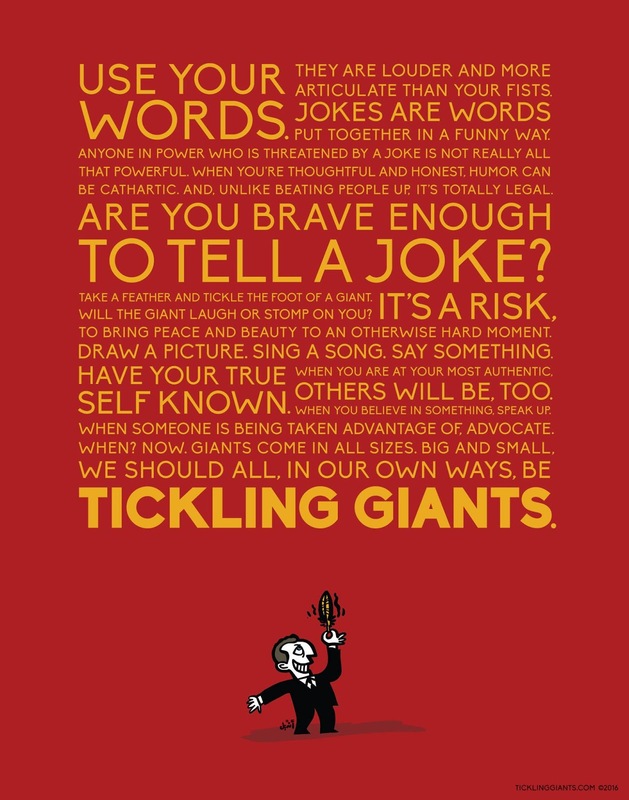 But the core idea in Tickling Giants is to leave people inspired by a team of ordinary people that risked their own comfort and, by doing so, found a way to be heard and to influence change.